As a component of the National Endowment of the Humanities funded Hellenistic Royal Coinages project, Seleucid Coins Online (SCO) is a new research tool providing a comprehensive overview of the coinages struck by the Seleucid kings between ca. 320 BC and 64 BC. The current version of SCO is based on Seleucid Coins: A Comprehensive Catalogue by Arthur Houghton, Catharine Lorber, and Oliver Hoover, published in two parts in 2002 and 2008 by American Numismatic Society and Classical Numismatic Group, Inc. The first part, by Houghton and Lorber, presented and interpreted all the numismatic material for Seleucus I to Antiochus III known up to 2002. The second part, by Houghton, Lorber, and Hoover, did the same for the Seleucid kings from Seleucus IV to Antiochus XIII. In total, more than 2,491 primary coin types were published in these volumes. Ultimately, SCO will provide wide access to the coins listed in the print volumes of Seleucid Coins—not only the entries in the main catalogue, but also pieces presented separately in the appendices (e.g., plated issues, non-Seleucid coins bearing Seleucid countermarks, etc.). While the Seleucid coins in the ANS collection (some 5,129 pieces) serve as the core of the searchable catalogue, all types in the original publications will be included in the database, ultimately with links to coins (many of which are unique) in the Bibliothèque nationale de France, the British Museum, the Munzkabinett der Staatliche Museen zu Berlin, and many other public and private collections. When necessary, entries in the catalogue will provide corrections to descriptions and interpretation with explanatory commentary by Oliver Hoover. Seleucid Coins Online will also stand at the cutting edge of the discipline through the inclusion of new coin types and varieties that have been recorded since 2008. Previously unknown material has been appearing at a rate of about 100 coins per year and there is no indication that the flow is likely to stop anytime soon. Seleucid Coins Online will be the only place where researchers can keep track of such new coins comprehensively and the expanding picture of Seleucid economic, political, and art history that they reveal. Frequent updates to the website will permit users to find and learn about new material almost at the rate at which it is discovered, thereby making Seleucid Coins Online the most up-to-date catalogue available to students of Seleucid coinage. The development of Seleucid Coins Online will take place in two parts in imitation of the print volumes. Material related to Seleucid Coins, Part I, covering the reigns from Seleucus I to Antiochus III (c. 320–187 BC) is currently available, beginning with the ANS holdings. This will be followed in 2018 by the coins associated with the reigns from Seleucus IV to Antiochus XIII (187–64 BC) as well as the posthumous Roman imitations (63–14/13 BC) listed in Seleucid Coins, Part II. SCO is made possible by stable numismatic identifiers and linked open data methodologies established by the Nomisma.org project. Coin type data are made available with an Open Database License. All images and data about physical specimens are copyright of their respective institutions. Please see the Contributors page for further details about individual licenses. 12/21/17--11:13: Éditions et études papyrologiques disponibles enlibre accès sur internet à partir de la Checklist of Greek, Latin, Demotic and Coptic Papyri, Ostraca and Tablets. Éditions et études papyrologiques disponibles en libre accès sur internet à partir de la Checklist of Greek, Latin, Demotic and Coptic Papyri, Ostraca and Tablets. Ce document contient les liens vers les éditions de textes papyrologiques disponibles en libre accès sur internet (majoritairement sous forme de pdf). 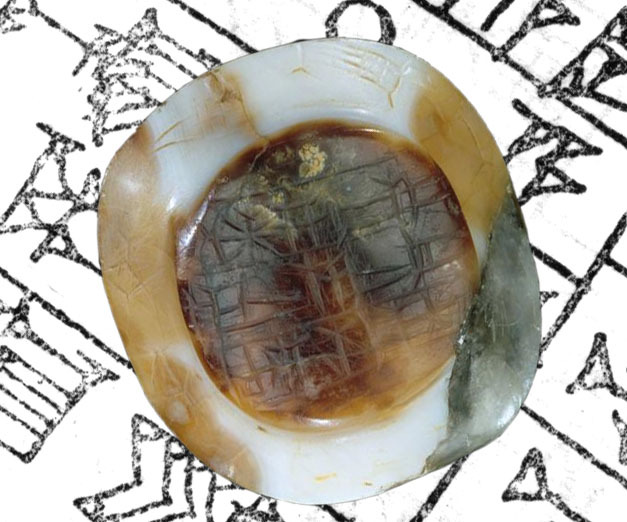 Le travail de recherche de ces éditions n’aurait pu voir le jour sans l’outil fondamental que constitue la Checklist of Greek, Latin, Demotic and Coptic Papyri, Ostraca and Tablets (consultable sur https://www.papyri.info/docs/checklist). Les informations qui en sont extraites ont été simplifiées : on ne trouvera ici que l’abréviation du volume de la Checklist, la tomaison et l’année de publication ainsi que, le cas échéant, le lien correspondant au volume sous forme électronique. Pour les références détaillées, le recours à la Checklist demeure donc indispensable. Ce travail, qui contient actuellement près de 400 liens vers des éditions en ligne, a été réalisé par Loreleï Vanderheyden, sous la direction de Jean-Luc Fournet, professeur au Collège de France, dans le cadre de sa chaire de « Culture écrite de l’Antiquité tardive et papyrologie byzantine ». Cette liste étant amenée à évoluer constamment, au fur et à mesure que les éditions papyrologiques passent dans le domaine public, elle sera mise à jour périodiquement. Les corrections, compléments, commentaires et suggestions sont les bienvenus et peuvent être envoyés à jean-luc.fournet@college-de-france.fr. This document contains links to papyrological editions of texts available on the internet, in most cases in pdf format. The research undertaken for these editions would not have been possible without the Checklist of Greek, Latin, Demotic and Coptic Papyri, Ostraca and Tablets (available at https://www.papyri.info/docs/checklist). The information extracted from this list has been simplified; this document contains only the volume abbreviation from the checklist, year of publication, and, when such exists, a link to the volume's electronic version. For detailed references, the use of the checklist remains essential. This work currently contains nearly 400 links to online editions, and was produced by Loreleï Vanderheyden, under the supervision of Jean-Luc Fournet, Professor at the Collège de France, in the framework of his Chair in “Written Culture of Late Antiquity and Byzantine Papyrology”. This list will be periodically updated as papyrological publications pass into the public domain. Corrections, additions, comments and suggestions are welcome and may be sent tojean-luc.fournet@college-de-france.fr. Résumé : Dioscore d'Aphrodité est un cas unique en papyrologie : le dossier de ce notable lettré d'un village de Moyenne-Égypte (VIe s. apr. J.-C.) comprend à la fois ses archives documentaires, sa bibliothèque et les brouillons de ses œuvres poétiques. Ce livre propose une édition critique et commentée de la partie littéraire de ce riche ensemble. Tout d'abord, des textes nouveaux ou partiellement inédits provenant de sa bibliothèque : une Iliade d'Homère, un livre de Scholies à l'Iliade et des tables de conjugaisons verbales. Dans une seconde partie, l'œuvre même de Dioscore : 51 textes autographes, presque tous en vers, traduits, annotés et replacés dans leur contexte littéraire et historique. Un chapitre conclusif tente de brosser le profil culturel de Dioscore en s'appuyant sur sa bibliothèque, sur son œuvre, mais aussi sur ses textes documentaires. La combinaison de ces trois sources permet de faire revivre conjointement l'élève, le lecteur et le créateur, autant de phases que le papyrologue ou l'historien de la littérature est habituellement obligé d'appréhender séparément. Elle met aussi au jour d'intéressantes interactions entre littérature et documents, révélatrices des options culturelles de la société antique tardive. C'est donc, plus généralement, de la culture grecque dans une province du VIe s. que traite cet ouvrage. Abstract : Can it be stated that the unique nature of ancient Alexandrian culture was confirmed within its very language, to the point that one may talk of an “Alexandrian Greek”? This is the question that the author attempts to answer by gathering together and studying the linguistic particularities (lexical, above all) that the ancient authors, already aware of the issue, had pointed out. The specific nature of the city is presented within these peculiarities of language: the mores and character of its inhabitants, certain features of its urban tissue and material culture, the landscape of its hinterland and the economic activities attached to it. Whilst some may have arisen from the standard image that the Ancients circulated about this city and its population, others throw light on cultural or material realities that have sometimes escaped the notice of historians, papyrologists and archaeologists. 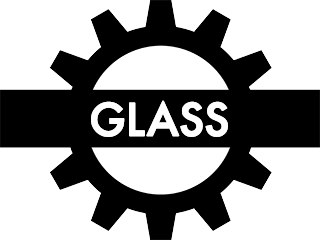 You can view the project's content here. 12/22/17--11:30: John the Lydian, “On the Roman months” – version 2.0 now online! The Comité international pour l’égyptologie (CIPEG) is one of 30 International Committees of the International Council of Museums (ICOM). The scope of CIPEG embraces the representation of Egyptian and Sudanese collections across the worldwide museums community, and provides a unique forum for museum professionals and scholars who deal with ancient Egyptian and Sudanese heritage. 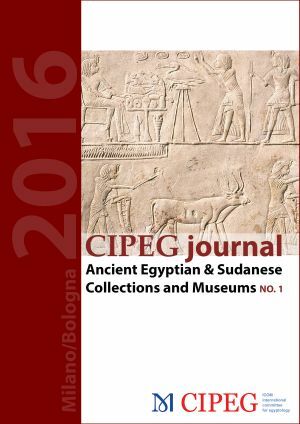 In 2017, CIPEG inaugurated the CIPEG Journal: Ancient Egyptian & Sudanese Collections and Museums to serve as a platform for the dissemination of information regarding the study, preservation, and presentation of such collections, monuments and sites worldwide. This open access journal promotes communication and collaboration among museums, museum professionals and others involved in ancient Egyptian and Sudanese collections around the world. Contributions to the CIPEG Journal comprise papers presented at the previous year’s CIPEG Annual Meeting and its associated workshop, and focus either on the conference theme or on general museum work, collections research, conservation treatments, and exhibition planning, as well as archaeological excavations led by museum teams. In 2016, CIPEG held its annual meeting in Milan, Italy, as part of the 24th ICOM General Conference held on 4–7 July. Papers were invited on the theme ‘Egyptological Landscapes: Museums, Libraries, Historical Palaces and Archives’. CIPEG also held a post-conference workshop from 10–12 July at the Museo Civico Archeologico in Bologna, this time with a focus on ‘Egyptological Landscapes: Museums, Resources and Networks among Collections and Institutions’. A selection of papers on these themes, as well as contributions on broader matters of collection research, conservation, exhibitions, and archaeological excavations presented in Milan and Bologna are published here in CIPEG Journal No. 1 (2017). The Museums of Egypt Speak for Whom? The various phases of life and their manifestations in theory and social reality constitute a well-established area of research in the fields of western medieval studies and ancient history. In this respect the Byzantine East has been widely neglected. This volume will focus on the Byzantine experience of adolescence, which may be defined as the biological transition from childhood to adulthood as well as the social and psychological experience of leaving the care of parents, guardians and family groups and the gradual integration into adult society. Die verschiedenen Lebensphasen und ihre Manifestationen in Theorie und sozialer Realität bilden ein etabliertes Forschungsgebiet auf den Gebieten der abendländischen Mediävistik und der antiken Geschichte. In dieser Hinsicht wurde der byzantinische Osten weitgehend vernachlässigt. Dieser Band konzentriert sich auf die byzantinische Erfahrung der Adoleszenz, die als biologischer Übergang von der Kindheit zum Erwachsenenalter definiert werden kann, sowie die soziale und psychologische Erfahrung des Verlassens von Eltern, Vormündern und Familiengruppen und die allmähliche Integration in die erwachsene Gesellschaft. La Rivista del Museo Egizio promuove, raccoglie e diffonde le ricerche su tutti gli aspetti della collezione del Museo Egizio di Torino e sui siti archeologici da esso indagati oggi e in passato, nonché studi su argomenti aventi una rilevanza indiretta per la collezione. La rivista sta raccogliendo i contributi per il secondo numero (2018). Per le modalità di presentazione e le linee guida, vedi la sezione Pubblica con noi. 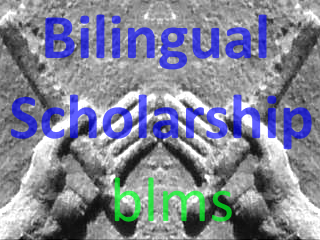 PAThs is an ERC granted project (Advanced Grant 2015), aimed to provide an in-depth diachronic understanding and effective representation of the geography of Coptic literary production and in particular of the corpus of literary writings, almost exclusively of religious contents, produced in Egypt between the 3rd and the 11th centuries in the Coptic language. PAThs takes an original and pluridisciplinary approach, combining philology, codicology, archaeology and digital humanities, in order to explore the process of production, copying, usage, dissemination, and storage of Coptic works in relation to the concrete geographical contexts of origin of both the texts themselves and their related writing supports. By analysing texts and contents, paratexts (titles and colophons) and linguistic layers (style and dialects), the literary products will be strictly related not only to the places where they have been copied, but also to the single intellectual milieux responsible for their creation. Cultural orientations and literary tastes in specific areas of Egypt will be singled out, while changes in the manufacture of codices will emerge, in a manuscript tradition that offers the oldest witnesses for the use of codex. An exhaustive digital Atlas of late antique and early mediaeval Egypt– a versatile tool that will allow detailed and focused research and correlation of chronological, regional and thematic data, that is under construction – will illustrate the relationship between settlements, as revealed by the archaeological investigations, and intellectual production, as revealed by manuscripts, and will provide a new comprehensive perspective on the spread and development of Coptic literature and manuscript culture. Les temples d’Ištar, des « maisons de plaisir » ? 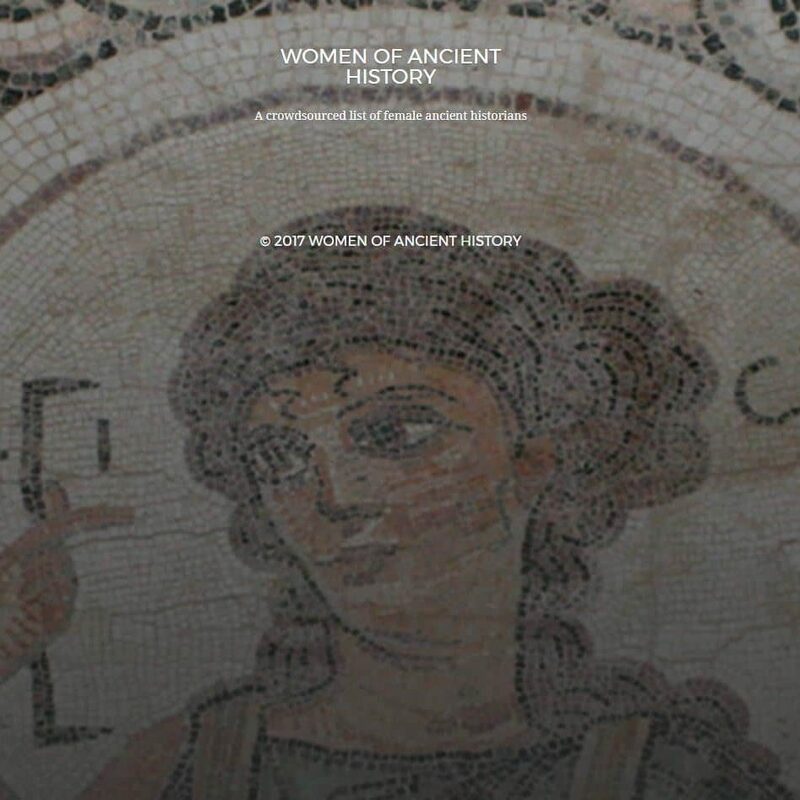 An interactive, crowdsourced map, WOAH raises the visibility of women working in various fields associated with ancient history. Melchizedek is a mysterious figure to many people. Adopting discourse analysis and text-linguistic approaches, Chan attempts to tackle the Melchizedek texts in Genesis 14, Psalm 110, and Hebrews 5-7. This seminal study illustrates how the mysterious figure is understood and interpreted by later biblical writers, "... Using the “blessing” motif as a framework, Chan also argues that Numbers 22-24, 2 Samuel 7 and the Psalter: Books I-V (especially Psalms 1-2) provide a reading paradigm of interpreting Psalm 110. In addition, the structure of Hebrews provides a clue to how the author interprets the Old Testament texts. The Kassite dynasty, which came to power after the raid on Babylon by the Hittites, reigned over Babylonia for several centuries (ca. 1570 - 1155). Building on developments in the preceding Old Babylonian period, Babylonia developed into a territorial state with remarkable political stability. Kassite kings played an important role in the international politics of the time, maintaining diplomatic contacts with the world powers of the day in the capitals of Egypt, Hatti, Mitanni and Assyria. Examples from Sai Island by Giulia D’Ercole. xviii+186 pages; illustrated throughout in colour and black & white (33 colour plates). Cambridge Monographs in African Archaeology 96. ISBN 9781784916725. In Sudan the first ceramic containers appeared at the beginning of the 9th millennium BC, with the earliest dates c. 8700 BC from Sorourab 2, in Central Sudan, and c. 8600 BC from the district of Amara West, in Northern Sudan. This book presents a comprehensive critical analysis of diverse ceramic assemblages from Sai Island, in the Middle Nile Valley of Northern Sudan, on the border between ancient Upper and Lower Nubia. The assemblages included in this study cover about five millennia, spanning the period c. 8000 to c. 2500 BC. They go from the initial appearance of ceramic technology within hunting-fishing-gathering communities living in permanent or semi-permanent settlements (locally named ‘Khartoum Variant’ or ‘Mesolithic’ horizon: c. 7600–4800 BC), through the ceramic productions of the first ‘Neolithic’ pastoral societies (Abkan horizon: c. 5550−3700 BC), to those of the Pre-Kerma Nubian culture (c. 3600−2500 BC). A thorough stylistic macroscopic observation of the finds is integrated with a solid technological approach by means of archaeometric petrographic (OM), mineralogical (XRPD) and chemical (XRF) analyses. Data are discussed and compared across a broad geographical area, including Lower and Upper Nubia, Central Sudan and the Egyptian Western Desert. They provide an original synthesis and interpretation of the ceramic traditions in Nubia and Sudan and propose a critical review of the debate on the invention of pottery and the functional and cultural reasons for the emergence of the ceramic technology. This book is also available to purchase in paperback, priced £30.00. These downloads are single-user and for your own personal use only. Issues of law and gender relations are highly significant in the life of every human society, past and present alike. They touch upon the very foundations of the social order, and pertain to the manner in which people are organized, establish social institutions and perpetuate stratification and inequality. The LaOCOST (Law and Order: Cuneiform Online Sustainable Tool) project will illuminate how they were practiced in the ancient Near East, utilizing a digital corpus of legal and non-legal texts as its database. LaOCOST is directed by Ilan Peled, Leiden University Institute for Area Studies. Here you will find a complete listing of all the Old Babylonian tabular accounts presented in Robson (2004), and a full edition of those discussed in Robson (forthcoming). You can browse the OBTA corpus here. All the texts and catalogue data presented here are released under a Creative Commons Attribution Share-Alike 2.0 license. Welcome to the Stanford Encyclopedia of Philosophy (SEP). From its inception, the SEP was designed so that each entry is maintained and kept up-to-date by an expert or group of experts in the field. All entries and substantive updates are refereed by the members of a distinguished Editorial Board before they are made public. Consequently, our dynamic reference work maintains academic standards while evolving and adapting in response to new research. You can cite fixed editions that are created on a quarterly basis and stored in our Archives (every entry contains a link to its complete archival history, identifying the fixed edition the reader should cite). The Table of Contents lists entries that are published or assigned. The Projected Table of Contents also lists entries which are currently unassigned but nevertheless projected. La «Rivista di Diritto Ellenico» si propone di costituire uno strumento agile e immediato per consentire la pubblicazione di contributi caratterizzati da un taglio peculiarmente giuridico, senza tuttavia tralasciare l’aspetto più antichistico, nella fattispecie storico, culturale e antropologico. In questo senso, la «Rivista di Diritto Ellenico» si vuole caratterizzare anche come pubblicazione, con cadenza annuale, di materiali concernenti le antichità classiche, definizione solo apparentemente generale per la cosiddetta «giusgrecistica» in Italia, ove il tratto saliente della «grecità» non dovrà intendersi come un limite a volere circoscrivere il panorama degli studi: l’aspetto idiomatico, forse più di ogni altro, è parte insostituibile del concetto di Hellenikon già a partire dal V secolo a.C. e il greco antico conosce una tradizione ininterrotta fino al I millennio d.C. coronata dalle sillogi dei commentatori che riflettono proprio su istituzioni, usi e costumi dell’età classica. Accanto a contributi inediti in questo settore, la cui pubblicazione potrà avere luogo in italiano, inglese, francese, tedesco, olandese, spagnolo e greco moderno, la «Rivista di Diritto Ellenico» si propone anche un obiettivo «dottrinario»: offrire al suo interno le ristampe di saggi di riconosciuto valore scientifico risalenti, in particolare maniera, ai due ultimi secoli trascorsi, in originale o anche in traduzione italiana, anche per venire incontro alle esigenze di reperibilità, spesso tutt’oggi ancora difficoltosa. A Concise Dictionary of Akkadian, edited by Jeremy Black, Andrew George, and Nicholas Postgate, with the assistance of Tina Breckwoldt, Graham Cunningham, Marie-Christine Ludwig, Clemens Reichel, Jonathan Blanchard Smith, Junko Taniguchi and Cornelia Wunsch, was published in Wiesbaden in 1999 by Harrassowitz Verlag, and reprinted the following year with minor corrections. This archive is intended to act as a supplement to the dictionary, fulfilling several functions as described below. It is up-dated periodically, about once a year. Proposals are welcomed for improvements and additional entries (address below). Where these are adopted, they will be appropriately attributed and dated.